What an incredible place to do all kinds of recreating. Camping, ATV riding, backpacking, fishing, hunting, rock climbing, this place seriously has limitless opportunities of places to see and enjoy. Last year I spent a little bit of time on the South Slope of the Uintas and had a few great trips on the pontoon boat. For myself, lake fishing has its place and time, but creek and river fishing is what I thrive for. So last winter I picked up a few kindle books on fishing in the Uintas and I spent a lot of time looking at maps and satellite pictures, mapping out some rivers to explore. 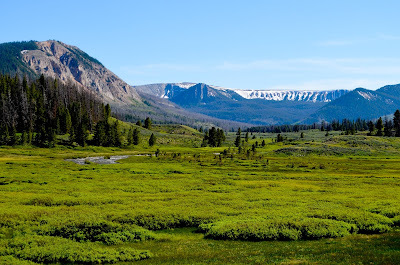 The North Slope of the Uintas kept crossing my mind and I decided that I was going to go figure that place out. After checking road conditions all spring I finally found a day that I could head up that way in my little Honda Civic with no chance of snow stopping me. You wouldn’t believe where that car has taken me. People say that I should get a truck and I say I’ll get a truck when there is somewhere I can’t get to in my Civic. Anyways, I headed up to the West fork of the Blacks fork. Of course being spring I didn’t have a lot of expectations because of run off but I was hoping to find some places to come back to later in the year. I got to the river, strung up, and started throwing some flies. 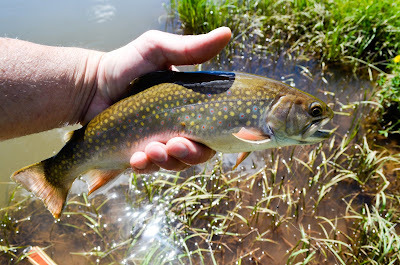 I was able to get a few nice brook trout in the net, but the fish were just the bonus to the solitude and my surroundings. What an incredible place, I was in a large meadow surrounded by awesome looking mountains, and I had to be at least 10 miles away from another person (it was a Tuesday). That trip taught me that there is a lot more to fly fishing than landing a twenty-five inch brown. 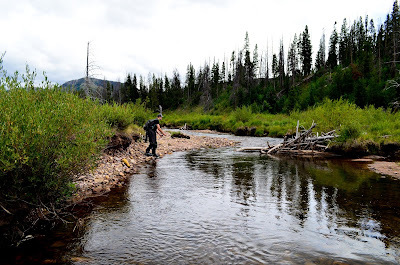 Another thing that I should also note about that trip was that to get to the West fork Blacks fork, I crossed 10-15 streams (most of them holding trout), and at least five lakes. It took a lot of self-control to actually drive there without stopping to explore these waters. But it did give me a reason to go back, and I went back all summer. Fly fishing in the Uintas is a trip that everyone should do at least once. 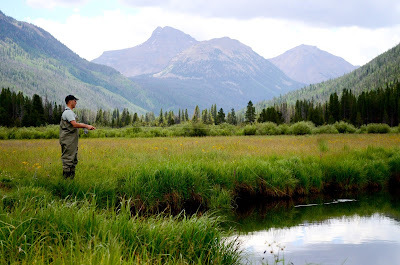 I fished there just about every day of the week and at least on the creeks, I never saw another person. Those waters are packed full of cutties, brookies, rainbows, browns and grayling. I had some great days throwing buggers, and some great days throwing dries. The fish were always hungry and I was very surprised how big some of the fish were for such small waters. Another huge bonus is that if one place isn’t fishing well, you can be on another water in 5-10 minutes. One day I was just getting a feel for the area, so I went and fished 5 different creeks and a small lake. The crazy thing is that I didn’t even scratch the surface of all the different places you can fish there. I have always enjoyed the adventure of fishing small creeks. Most of the fish are native and they actually make you work to catch them. If you learn to catch fish from small creeks, you can catch fish anywhere. 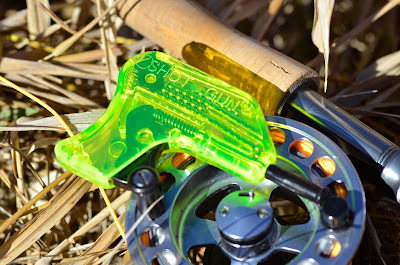 You really have to get creative and fish in places that you would usually overlook on rivers. Sometimes the casting gets technical and you have to be on your A game. Casting nearly perfect every time so you don't spook fish or get caught in the unlimited amount of bushes and trees surrounding you. It's all about patience, not getting frustrated, and just enjoying your time doing what you love. The great thing about the Uintas is the diversity of waters. 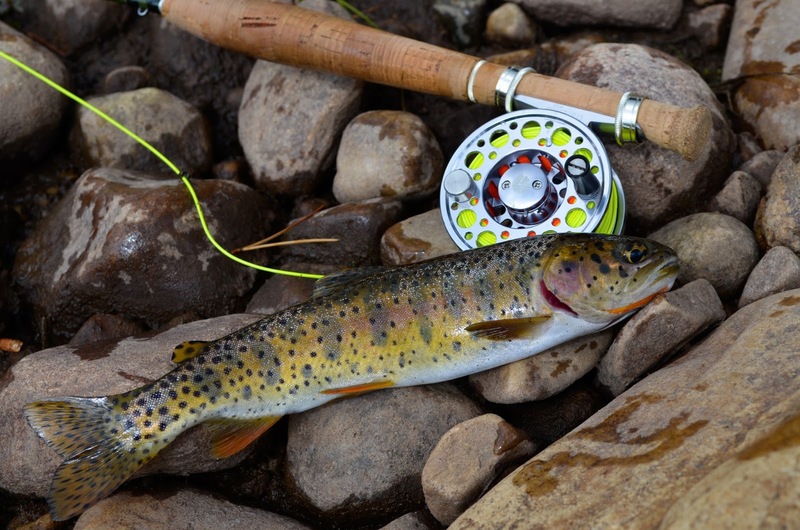 You can fish creeks that you can step over, or fish large rivers with holes 15 feet deep. Decent sized fish can be found in both places and the scenery around you is unbeatable. 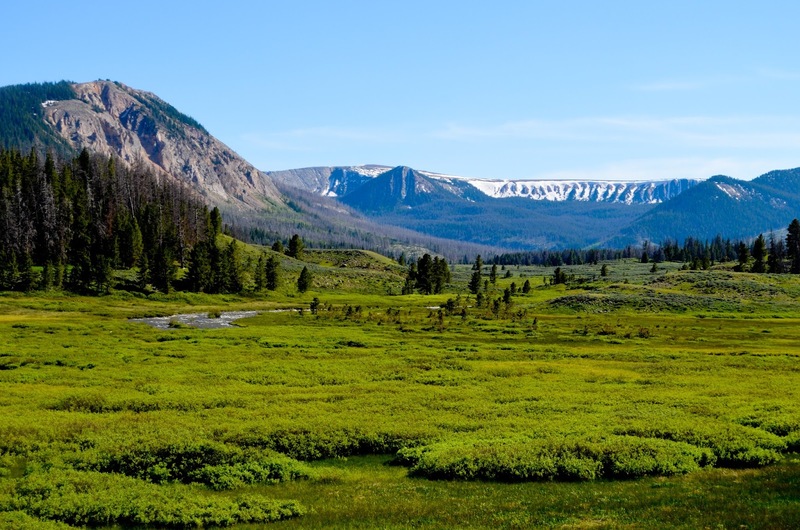 I haven't had the chance to do any backpacking in the Uintas, but it is a very popular thing to do. There are thousands of hikes and lots of hiking loops that take you by multiple lakes and creeks full of fish. A nice long backpacking trip up there is definitely in the works for me. If you take anything at all from this write up take this, do yourself a favor and plan a trip to the Uintas. Do a little bit of research and you can have a trip that you’ll be talking about for the rest of your life. I’ll give you a little heads up with some of the easier creeks to get to on the North Slope. The Blacks fork rivers, the Bear rivers, Stillwater fork, Hayden Fork, Smith creek, Henry’s fork, and Beaver creeks. I hope that you enjoy these waters as much as I do.